The numbers of trapped songbirds illegally killed on a British military base in Cyprus last autumn reached an estimated 900,000 birds — the highest level recorded in 12 years — according to the latest RSPB-funded research of trapping activity on the Dhekelia Sovereign Base Area, close to the tourist hotspot of Ayia Napa. Following the dramatic increase in bird deaths, the RSPB and BirdLife Cyprus, the RSPB's BirdLife International partner on the island, are urging the Base Area authorities to continue the positive start made late last year to clamp down on the illegal trappers by removing the planted scrub, which the trappers use as cover for their illegal activities while on the military base. The acacia scrub also attracts vast numbers of migrating songbirds, moving between Europe and Africa each autumn. 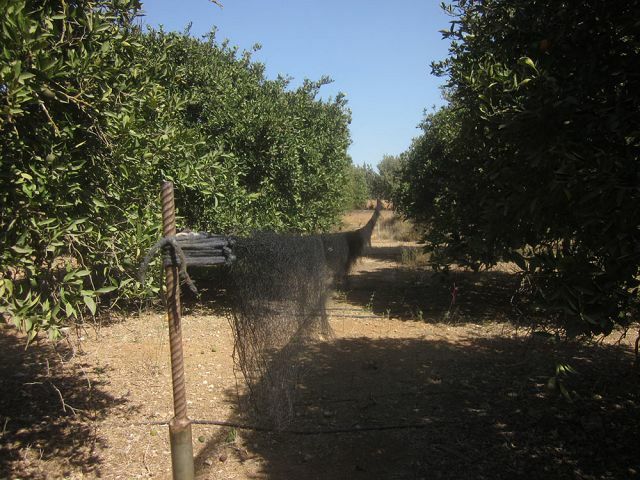 Small-scale trapping of songbirds for human consumption on Cyprus was practised for many centuries, but it has been illegal on the island for 40 years. Unfortunately, organised crime now seems to be driving this illegal activity which is thought to be worth millions of Euros every autumn. BirdLife Cyprus and the RSPB have been monitoring illegal songbird trapping activity on the British military base at Dhekelia since 2002. The figures for last autumn reveal that 2014 was the worst year on record, by far, with an estimated 900,000 birds being killed — this is equivalent to almost 15,000 songbirds a day during the September–October period. The latest figures are now three times higher than when the monitoring started in 2002. Comparative figures for the Republic of Cyprus reveal that illegal bird trapping is still a considerable issue, but the figures have reduced since 2002. This is probably because of the more extensive areas of illegally planted avenues of acacia scrub which have been allowed to be grown by criminals on MoD land. 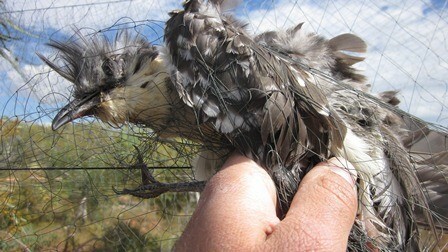 This illegal bird-killing infrastructure is used by the trappers as cover to attract the birds and to set their nets. Dr Tim Stowe is the RSPB's International Director. He said: "The report highlights that the illegal trapping of songbirds on the British military base has escalated and we are urging the Ministry of Defence and the Base Area authorities to resolve it before this autumn's migration. Such extensive illegal activity requires all the Cyprus authorities to work together to combat it, and the Base Areas' contribution should be zero-tolerance towards illegal bird trapping." "We were pleased that the Base Area authorities have started to remove acacia scrub last December. We believe the scale of illegal trapping requires continuing and sustained action, and we'll continue to offer our support." The RSPB welcomes the signing by the Base Area authorities of a Cyprus Strategic Action Plan on illegal bird trapping. BirdLife Cyprus and the RSPB believe that the Sovereign Base Area authorities should now develop a plan to remove all the illegally planted and non-native avenues of acacia on MoD land as rapidly as possible. Dr Clairie Papazoglou is the Executive Director of BirdLife Cyprus. She said: "Acacia isn't a native plant in Cyprus, so the planting of extensive stands of this shrub by the trappers is a highly visible symbol of their flagrant disregard for anti-trapping laws. In fact, you can see these plantations from space. By removing the acacia, the Sovereign Base Area authorities would send a clear signal that they will not tolerate the slaughter of birds on British bases." The songbirds are trapped to provide the main ingredient for the local and expensive delicacy of Ambelopoulia — essentially a plate of songbirds such as Blackcaps or Robins, served to restaurant diners. The illegality of the practice and the high profits are attracting the attention of organised crime gangs. Today, most trappers use long lines of nearly invisible netting known as mistnets. They attract birds into them on an industrial scale by playing birdsong. Traditionally, trappers had relied solely on lime-sticks, where stems of pomegranate are coated in a locally manufactured 'lime' and are then placed in trees and bushes. Passing birds become stuck on the lime-coated sticks where they fall easy prey to trappers. While lime-sticks are still used in many areas, mistnetting between planted avenues of acacia has now taken the slaughter to a whole new level. Since 2002, the monitoring program has recorded over 150 different bird species which have become trapped in nets or on lime-sticks, including Cyprus' two endemic breeding birds: Cyprus Warbler and Cyprus Wheatear. The second Champions of the Flyway event, taking place later this March, aims to support BirdLife Cyprus in combating the massacre occuring across the island every spring and autumn. Birdwatch and BirdGuides are once again sending a team to support the event and BirdLife Cyprus, and are currently actively fundraising for this very worthwhile cause. We've been overwhelmed by the generosity of our readers over the past eight weeks, already raising over £1,900. However, there's still work to be done — we'd love to add to this significantly and any donations would be hugely appreciated by the team. Your contributions will make a difference! The Roadrunners will be arriving in Israel on 21 March to begin preparations for the big day on 25th. You can follow the team's progress throughout the week via Twitter (hashtag #cotfRoadrunners) — we hope to bring you plenty of exciting news and a positive outcome! You can donate to this worthy cause at our Just Giving page: www.justgiving.com/COTF2015BBR.